After the Snowbird, Comes the Whale Pt 3 Sec 1. I SPEND MOST mornings in the campus library where instead of studying ethnographies that might provide a context to my field work, I evade the challenge, browse Virgil’s Aeneid which I’d last read in the 1950s and ponder a line I’d written out from Monsieur Teste a teacher had dictated to us. ‘Que peut un homme?’ the teacher read out, qua spelling exercise — while the question, whether or not I got the words right, continued to haunt me. It was autumn in Fairbanks. In three or four months, I‘d be back in Tikigaq and assumed with optimistic vagueness that the pressure of necessity would give my work some shape once started. I was, still, disconcerted by the convergence, on the one hand, of my unpreparedness and on the other by the demands of living in an Arctic village. I should, after all, either be academically prepared or headed for a place, such as a Japanese coastal village that might have been more comfortable to live in, and where I might construct, for example, an ethnography of fishing or seaweed gathering and their relationship to poetry. ‘One or the other,’ I scolded myself, alarmed at how they coexisted in the present. A separate hemisphere…buzzed with out-of-place preoccupations: Virgil, music, writing poetry, the importunities of things half-forgotten but which intermittently returned with questions, judgements. There were, on the one hand, day to day preoccupations — food, money, housing, cold weather clothing. A separate hemisphere, however, buzzed with out-of-place preoccupations: Virgil, music, writing poetry, the importunities of things half-forgotten but which intermittently returned with questions, judgements. For years, on and off, I’d been preoccupied by recollections of one meeting. On the balcony of an apartment block in Tel Aviv in 1960, I’d met Helena, a clairvoyant who with devastating insight read my character. What she told me stayed and wounded. One night I dreamed, some fifteen years later, that Asatchaq and I were stranded on an ice floe. He was paralysed and I was helpless. The voice of Helena echoed round the Arctic Ocean. Within his party-colour’ d mind. THESE LINES WERE quoted to me by Mrs Charlotte, the missionary widow I met in September. The context of the poem was a long harangue that Mrs Charlotte delivered at me. This, I’ve reconstructed in Part 4 below. And Mrs Charlotte’s words, like those of the woman I’d met briefly in 1960, seldom left me. I’d read Marvell’s poems as a student, but had never understood his Horatian Ode. And while I didn’t know whom ‘his’ referred to in the couplet quoted, Mrs Charlotte, on the other hand, was categorical about its meaning. Was it, I asked her, the rebellious Pict, against whom Cromwell had opposed his forces, or was it the Lord Protector who was party-coloured? What, anyway, was party-coloured? What Marvell impressed on Mrs C (a pious Christian) was that our minds are composed of contradictory elements and that to pretend intellectual unity represents a self-deception. We’re all diverse personae. And Mrs Charlotte comprehended very well the split loyalties of Native people like Asatchaq (whom she affectionately described as ‘that old pagan’) and the Sioux she grew up among in South Dakota, had been born into the ambiguities of the changed, often deformed, cultural environment. Asatchaq, certainly, had never exemplified cultural purity. He’d grown up in the contact period and identified with both traditional Inupiaq and new American patterns of belief and association. 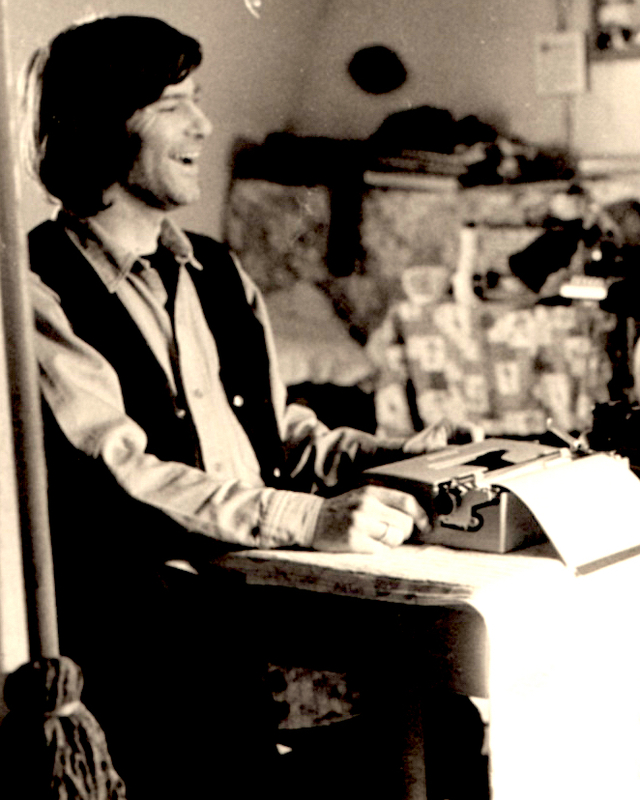 He was devoted both to animistic shamanism and to Driggs’s somewhat indistinct Episcopalian doctrine, one element of which was the existence of a ‘heavenly father’ whose character and function could never satisfactorily be described. I knew Asatchaq better than she did, but when Mrs Charlotte affectionately described him as ‘an old pagan’, she was also satirically alluding to the old man’s party-mindedness. She understood these things from personal experience. She’d grown up on a South Dakota prairie reading self-divided writers such as Flaubert and Kafka while also identifying with the Gospel that the missionaries promoted. Her speech to me was shocking in its diverse interests. 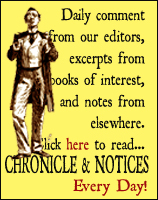 As Mrs Charlotte understood quite well, a Londoner from a German-Jewish family who has come to Alaska to work in an Inupiaq community is likely to harbour a parallel self-contradiction. Everything to such a person is of potential interest and no one thing remains entirely true. Agnostic paradox offered, I discovered, the foundation of nothing. I THINK OF my father and his exiled elders much of whose conversation was strung between quotations from Heine and Goethe, as though poetry, even in the Anglophone UK, could express any phenomenon. I thought, too, of the man, as my bi-lingual father described a mate in his army platoon, who spent the war lying on a bench reading Proust in defiance of Hitler. All this returned in uncoordinated detail when my father appeared in my cabin one night in Tikigaq. It was winter 1976 shortly after Daisy’s disappearance. My father had died fifteen years earlier and I had, during his last months, started to talk to him again. I showed him some of the poems I’d written at university and we listened to music together. He was fond of the classical quartet repertoire but also introduced me to Bartok whose music he heard as an expression of the twentieth century’s brutal ambiguities. ‘So what’s this Eskimo business about?’ he mused as though thinking aloud that these people had never figured in our conversations. ‘Frankly,’ he said, casting his eyes around the cabin, ‘this is ridiculous. You could catch an extremely severe cold. Think of your poor mother. His visit lasted only a few minutes. Then he vanished. ‘I don’t understand that poem either,’ came his voice beyond the window. VIRGIL REPRESENTED CUMAE as the site near Naples as the place where Aeneas made his landfall in south western Italy. It was wild, depopulated country, no more civilized than the territories that the Trojans had already travelled. 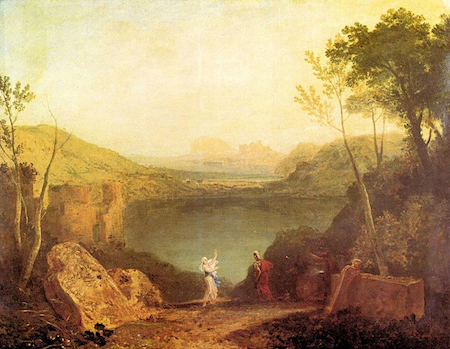 Cumae was also where the visionary Sibyl had her grotto and it was she who’d lead Aeneas on his journey to the underworld. My readings in Virgil during this pre-fieldwork period consisted, in part, of displacement activity. More relevant was Cumae’s equivalence to Tikigaq as a site of multiple pre-habitation. Tikigaq and Cumae were each wilderness regions, both nonetheless marked with signs of previous occupancy and ceremonial. Ruined temples, sanctuaries and the statues marked the wilderness at Cumae, just as the remains of ceremonial houses and archaic burials marked what visitors observed as featureless desert in Tikigaq. Meanwhile in Fairbanks I was starting to get bored with walking through the early evening traffic on my way to visit Asatchaq and noticed that the registration plates on local vehicles had numbers start­ing AEN or AED: this was followed by three digits, as though in reference to lines from the Aeneid. I started at that moment using Virgil as an oracle. I’ve mentioned I’d been ‘conning my Virgil’ as old pedants used to put it. I was enchanted, in particular, by the texture and the suppleness of Virgil’s verses, the sense that the pliability of his hexameters were also monumental, architectural, as though carved from stone, the noun relationships, as if magnetized to one another, held together by case endings that attached themselves to one another in mutually fructifying, sappy oozings. Book VI of the Aeneid opens with an evocation of the cliffs, flints, forests, chapparal and caverns rising over south Italian beaches where the Trojan fleet lies anchored, while Aenaeas’s men leap rock to rock like goats and the hero looms among shrines scattered in a wilderness that once housed previous settlers. Elsewhere in these pages I quoted the verb sulluk-, which the Inupiaq linguistic Larry Kaplan translated in its present plural as ‘the sea travellers come ashore briefly.’ And it is via Arctic landscapes plied by skinboat travellers that the worlds of both Virgilian and Inupiaq travelling converged in my imagination. Thus Virgil’s poem came alive to me as I contemplated the archaic seas and landscapes through which Native peoples similarly travelled in heroic optimism. And thus the poem, in its outdated character of oracle, also for a short time, became my travelling companion. … so far were the late Romans carried into the admiration of poetry, that they thought in the chanceable hitting upon any such verses great fore-tokens of their following fortunes were placed. Whereupon grew the world of Sortes Virgilianæ, when by sudden opening Virgil’s book they lighted upon some verse of his making. line 612 from the next book opened randomly. Thus if the page falls open at Book II, the second reading will be Book II, line 612. The Delian seer breathes …. and opens the future. Because some single lines make no sense, we must sometimes refer backwards and forwards to arrive the original meaning. The temptation to gather too much sense should however be resisted. The system depends, afterall, on a haphazard method, and the point of the game is less to arrive at a truth than to decorate a passing moment and enhance its meaning. But having arrived thus mechanically at ‘answers’, I then must devise questions which rightly should have been the antecedent. Thus a line of Virgil interlarded with a registration number from the Fairbanks rush hour becomes a different kind of registra­tion: the vehicle in its path across my own trajectory enters the continuum of Latin poesis, roughly as I move into Tikigaq myth realm. ignescunt irae; duris dolor ossibus ardet. will welcome you back. Seek your ancient mother. This was whimsical and threadbare entertainment. Still, off and on, I practised the game for the happiness of keeping Virgil active with me. 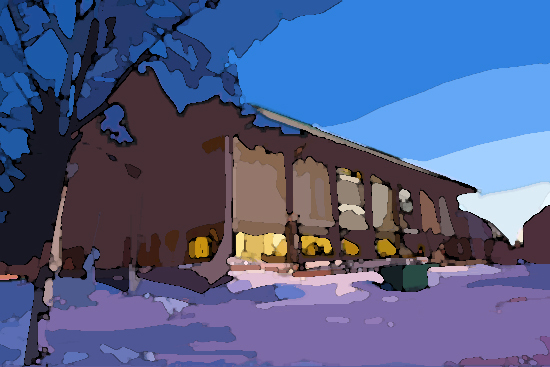 The game also coloured hours I walked through Fairbanks once the snow had settled and like footnotes engineered to literary prognostication, AEN and AED distracted me from vehicle exhaust, that once the cold came, froze round the nostrils. The fake prognostications added up to nothing. There were multiple things that any one of their images might have pointed to. And while lines from Virgil could return to their places in the epic, the traffic came and went uninterpretably. It was the connection that mattered. And in that connection I learned to respect present and shared transience in a context of ancient but increasingly unstable reality. And, not least, experience the children of Tikigaq as representatives of a reality that coexisted with Asatchaq’s narratives. ASATCHAQ HAD LIVED actively until he was eighty, but for the past two years he’d been disabled with arthritis in his knees, cataracts, anemia, bronchitis and most recently a cardiac arrest. At some point in his adulthood, he’d also contracted TB. His wife Kate and later his partner Sally were long dead and his three children had moved to Anchorage and to south-east Alaska. Tautuk, Daisy’s mother, had died recently in Juneau. Asatchaq was also incontinent which for cultural reasons hadn’t been a major pre-contact issue. Asatchaq was oldest and grandest Tikigaq elder and while he was related to almost the whole village, there seemed no domestic arrangement in which he could be cared for. The context of this lay in several areas of estrangment. He was estranged from modern Tikigaq which had moved away from the traditions that Asatchaq associated with social order. He despised modern life and people knew this. The community itself had been geographically divided and Asatchaq, who had been left behind in the old village had no connection with the New Town Site while sitting immobilized in an old Tikigaq he could scarcely step out in. ANOTHER ASPECT OF Asatchaq’s isolation lay in the simple fact of his age. It is difficult for younger people to grasp this reality of aging. One tendency of youth is to view age as a Gestalt. It’s alien from mainstream experience. Just as casually we walk past old buildings, we take age so much for granted that we assume that someone has always been old and that this — while paradoxically we request archaic memories — is who they have always been. Likewise, we take casually the fact of near-death status and efficiently make use of the short time we have to record an elder’s knowledge. At other times, we regard old age as a disease which people should have been careful to avoid. Still, we venerate them for the accomplishment of a status that actively they have done nothing to achieve. The phenomenon of aging, in this respect, is passive. Just as a plant withers, so in age we start falling to pieces. There’s no mileage, as Asatchaq’s stoicism taught me, in repining. And while I divined his regrets and he talked wistfully of friends he’d never see again, he never complained of limitations of which, at every moment, he must have been conscious. Still, one thing is marked among Tikigaq people with peculiar intensity. While children’s lives are protected, the ordeals of adulthood are relentless. Boys accompany their older relatives onto sea ice. They go about their business in a storm of challenges. Every moment requires life and death decisions and in order to emerge whole and as the person who entered an ordeal, the hunter cultivates a core of self-possession. A supporting and illuminating shaft of light sustains mind and body and connects an individual to the village. But youth and strength exhaust themselves early. Life is short and passes quickly. The transition to old age is absolute. In Asatchaq’s case, internal exile exacerbated aging. In Tikigaq life, the change from one state to another, represents a dramatic separation. The hunter who sustains and exercises social generosity, transforms into recipient. Many of these generalities are truisms of which Tikigaq’s experience represents just one example. But in Tikigaq life, the change from one state to another, represents a dramatic separation. The hunter who sustains and exercises social generosity, transforms into recipient. Yet this is only one aspect of the old man’s alienation. Present aspects of Asatchaq’s isolation in his care home are common features of minority experience. Health workers in even relatively homogeneous cultures will have little time, interest in or knowledge of hospital residents whose language and culture doctors, nurses and ancillaries are incapable of sharing. That said, separation in Asatchaq’s care home, between nursing staff and residents could hardly have been more extreme. The young women who, with the utmost kindness attended residents, had no comprehension of individual identity, where people came from, the names of villages, where these were in Alaska or even the knowledge that these were people of skill and intelligence which was now locked in memory and in languages no-one knew existed. ANOTHER ASPECT OF Asatchaq’s alienation lay in his relationship to me. I arrived as a complete stranger and so largely I remained, albeit a friend and supporter, until his death in 1980. My Inupiaq name helped enable our early relationship because this placed me theoretically within local genealogy. I was moreover at his side almost entirely to take an interest in what he could tell me. I was a surrogate Tikigaq ceremonial house audience and as my knowledge grew and I could converse about elements I had in place, so our intimacy deepened or at least became natural. But I was proud of our partnership, although Asatchaq may have been using the word, with his limited English, quite crudely. Partner was a word used by early twentieth century traders to sweeten the commercial nexus which generally went in the white man’s favour. It had a swaggering western tang which I liked for the familiarity of its cinematic character. But the term in English, while gratifying, is also crude. In Inupiaq, there are many different kinds of partnership each with its precise function, context and limitation. Some partnerships were intra-societal trade and spouse exchange associations, with children of association between members of widely distant villages having near sibling status, though everyone knew this was often just a semi-fictional aspect of a trading partnership. One of the ethnographic jokes that made me popular with older people, was to say about someone that he or she was my qatangun, ‘out-of-wedlock-partner-generated half-sibling’: i.e the child of a sexual affair which represented part of a trading agreement. It gratified me to be able to make learned jokes. But it was perhaps patronizingly easy, even though I meant what I said, because I was committed to fitting in and loved the play of archaic, largely forgotten complexities. And perhaps I also thought that anyway we’re all the children of sexual partnerships and this makes everyone a child of the same family. This sort of thing happened several times and gave me happy moments. They were marks of inclusion and I valued them deeply. And while aching to be playing in a string quartet or kissing a girl in San Fransciso, I longed for integration with the village. And I was in a general way, taken into Tikigaq society as though I was a new and intriguing variety of meat. And while I allowed myself to be digested, I, in turn, ate Tikigaq, digesting the experience in harmony with cuts of me they relished. All this happened as a part of my relationship with Asatchaq and the knowledge he transmitted to me. It was gratifying that someone (even a white man) was taking notice of the old man and his knowledge was being attended to. 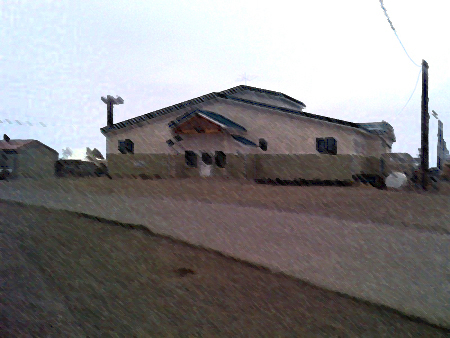 Much of Tikigaq lore had been lost by the twentieth century’s three generations so far: repudiated by believing Christians and iktaq’d3 as unnecessary and in part simply allowed to fall to pieces, perhaps also because it would have been too complicated and time consuming to keep it together in an environment of social change. The past was linguistically inaccessible to the younger generation of Anglophone speakers. Transmitting it to a white man both authenticated its importance and at the same time rendered the material safe. In this respect, I was a harmless and neutralizing container and my possession of the lore rendered it, as it were, biologically or chemically dead. Traditional knowledge contained dangerous, organic life and this in the past was kept alive by a genealogically inter-connected audience. People lived by it and passed it on alive and thus sustained the life of hearers. In my possession, that life would exist transformed in tapes, books and footnotes. I was part of the machinery of transformation. In that sense, I was also instrumental to the culture as a whole, at once securing the lore as a cherished artefact and also sterilizing it in non-Tikigagmiu separation. This was one of the reasons why I shouldn’t marry in the village. And to Asatchaq, I was largely instrumental and less of a person than to the likes of Qiligniq who called me an Eskimo. Perhaps this was how Asatchaq related to everyone and no doubt, in that I too was using him, I reciprocated. But I was, in his company, less myself than with most other people in the community. Partly because our limited language skills made it difficult to touch, still less joke, I remained as remote to him in my deference as he remained distant as his dignity and self-possession demanded. Asatchaq was unvaryingly courteous except when he was scolding someone of the younger generation. But I could not imagine him reaching beyond who he consistently remained in his rock-like self-affirmation, and for example, doing anyone a kindness. Kindness flows from an empathic knowledge and consideration of another’s similarity and/or their difference and thus connects individuals who otherwise would remain mutually isolated. Asatchaq accepted kindness and responded to it graciously. But partly because he was in no position at this stage of his life to extend a kindness, this was not, at least for the time being, a quality that came naturally to him. I remained a benign outsider, not unlike the nursing aides who made his bed and administered his medication. In this way I remained a benign outsider, not unlike the nursing aides who made his bed and administered his medication. When Asatchaq, Tukummiq and I completed our first period of work, Asatchaq dictated a statement in Inupiaq declaring that ‘Three sticks can’t be broken.’ By which he meant that our partnership had the strength and coherence of an Inupiaq composite tool. All this touches on the question of loneliness. We all belong to the global population and however solitary we may feel within the fragmented passage of experience, we are inescapably part of a collective. This is the sort of truism that would be difficult to accept for a prisoner in solitary, and I write it with that proviso. In connection with Asatchaq, however, I became aware of an isolation that lay within those elements of social and historical alienation so far described. To observe him sleeping on a neatly made bed with the knowledge of the old man’s separation both from Tikigaq society and from Fairbanks, was to become aware of a separation from virtually every person and social group to which he might be connected. But Asatchaq had no intention of dying. He clung to life as a productive good and his anticipated betrothal to Lady Elizabeth’s near hundred-year-old mother represented to him a potential new beginning. The care home and his separation from Tikigaq provided him, paradoxically, with a platform for a fresh start. My ethnographic involvement also gave him a motive to continue, to develop a new life by means of recollecting the old dispensation. He seemed not to recognise the existence of a close horizon. And when he was dying in winter 1980, he showed no sign of accepting the finality of his moment. Human connection, friendship, mutuality are perhaps our highest goods. And in this regard, Asatchaq accepted the limitations of who and where he was, lived stoically in solitude but grasped every possible relational connection. He regarded his alienation both as a phase and as a reflex of his guardianship of truths which would eventually recondition a society which in his view had gone wrong. And my unanticipated appearance as his amanuensis appealed to him as part of a historical continuum. He understood the importance of what he knew and it seemed natural that an earnest young white man should come along and validate that knowledge. Others had done it before but this time he intended the record to stick. ‘Take it to the Governor,’ he enjoined me several times in the course of our work. He wanted, through me, to institute Tikigaq lore as a component of good order, perhaps throughout Alaska: as though traditional knowledge would provide a foundation for the reconstruction of life as it had been in the early twentieth century. In this connection, I sometimes experienced what he told me less as words and memories and more as solids. Perhaps it was because I carried notebooks and tapes that I entertained the fantasy that I too was building something. I had a vision of our first book. 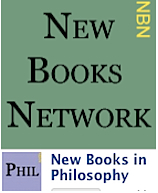 The binding would be solid, blue, the pages heavy and ragged, the content printed in a sturdy old world font, with a referential index and academic footnotes. More to the point, I experienced even fragments of stories as physical objects. This, on account of my own solitude, was no doubt a projection and I found myself repeating the passage in The Waste Land where Eliot writes ‘These fragments I have shored against my ruins,’ and it was my happiness both to inhabit the ruins of what Asatchaq narrated and to imagine building something from them. It was in this environment that our common experience of solitude met. Finally, I experienced Asatchaq’s presence in Fairbanks as a physical representation of Tikigaq. It was less that he brought information with him, but that he was Tikigaq, or perhaps that he was a piece broken from the peninsula that he had carried south within himself and as himself qua living entity. I LOVED THE old man. But many people didn’t. His younger Tikigaq contemporaries were individually and collectively different from him — he had no friends among them – and many of them had sometimes difficult, but always endearing characters. There was sweet natured monolingual George Omnik who sat alone through his eighties weaving baleen baskets. Uyagaaluk, family patriarch, overwhelming and satirical. 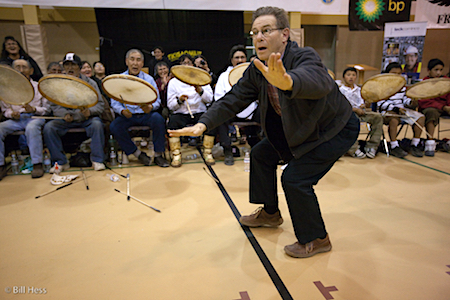 The visionary intensity of the preacher Qiligniq who thoughtfully expressed through dance and drumming a pre-Christian identity which he balanced earnestly with his status as preacher. Wise and knowledgeable Umigluk, skinboat owner and oral historian with his repertoire of songs and dances and a needling, ironic humour. The pensive and self-deprecating Roy Vincent, whose biological father had been a white whaler. Piquk, Asatchaq’s younger brother, a connoisseur of meat and sage of pleasures. Each in separate ways expressed the often boisterous self-confidence of Tikigaq character as though each of them was ready to embrace a whale or a grizzly — and each man bursting with humour and a sometimes gleeful competitiveness — or at least struggle with it until he expired. The older women I admired were as wise and knowledgeable as their husbands. 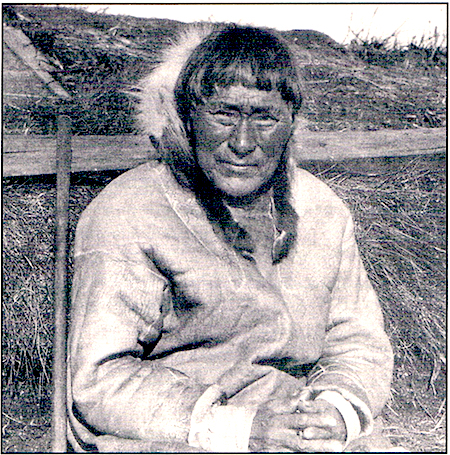 The most imposing was Ayagiiyaq, a large old woman who lived in Kotzebue with her husband Sagana, who shared with Asatchaq the status of master historian. Sagana had been Ernest Burch’s main informant in the 1960s and was as courteous as his wife was scathing and sarcastic. 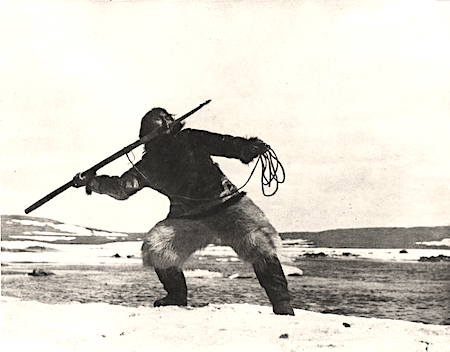 For several decades Sagana had been a travelling hunter and he and Ayagiiyaq spent their final years in Kotzebue, from where Ayagiiyaq travelled occasionally to Tikigaq. Ayagiiyaq was blind, and while she walked clumsily, she was a great dancer. She had inherited a men’s dance, possibly from a namesake whose grave at the west end of the village had escaped missionary destruction in 1909. Physically, the women’s dance is a sequence of fluid gestures. Spacially, it is more restricted than the boldly enacted male dithyramb…Men’s dancing, by contrast, is heroic and confrontational. It was quite frightening and unnerving to watch Ayagiiyaq dance. Female dance movement is conventionally subtle and understated. It is peacefully accommodating to the accompanying two-in-a-bar drum percussion. Women dance in legato gestures without moving their feet. Their movements participate in the flux of time and express good-humoured acknowledgement of life rhythms and the greater powers. Physically, the women’s dance is a sequence of fluid gestures. Spacially, it is more restricted than the boldly enacted male dithyramb. Men’s dancing, by contrast, is heroic and confrontational. It enacts the dramatic character of hunting and of shamanistic vision. One foot stamps in time with the drum while the dancer flings himself through a series of angular, variously defiant and comic postures. The energies of the male dance keeps time with life-death relationships with animals: with the necessity of arduous travel, labour, killing animals and return to the village. And the dream-like and often terrifying ecstasy of visionary experience within which the souls of animals and ancestors interact with a human spirit which must overcome its uncertainty. Whatever the experience that had happened in the wilderness beyond the village, which often prompted the character and narrative of the dance, the dance and often the song that went with it, represents a boisterous and self-confident social and aesthetic resolution which enacts an encounter with spirits or animals. Reverting to Ayagiiyaq dancing. She completed each performance with gestures of satirical self-dismissal and even contempt, as though to devalue the demonstration of her performance, suggesting perhaps that it lay beyond the comprehension of younger people who could scarcely guess the complicated metaphysics of the visionary world of which the dance was an expression and from which she in her blindness was now partially excluded. In varying degrees of intimacy, I got to know about a dozen older men and women and most of them refrained from offering opinions about Asatchaq. As old people do, most of them lived in semi-isolation, maintained by their younger families, the boys hunting, fetching stove oil and water, the young women sewing, cooking and looking after children. Asatchaq’s isolation was, in this regard, semi-conventional. He commanded no household, but like his contemporaries, he had became a home dweller. When I visited Tikigaq for the last time in 2009, the community had constructed a purpose built old people’s home. During the nineteen seventies, one could plot the composition of the village on a map representing about thirty households, each one converging round an elder or an older couple. These latter represented the centre and of a family group which circulated around the authorative hub of the older generation. In even more benign environments, the old tend to confine their mobility to the immediate surroundings. Older men in pre-contact Tikigaq could spend winter in their qalgis, while old women continued to live in their iglus. During the summer, most elders stayed at home while everyone else travelled. Part of Asatchaq’s distance from his contemporaries had to do with differences over story versions whose differences derived sometimes from lineage issues, memories to do with family quarrels, distribution grudges or arguments over protocol, which anyway differed from qalgi to qalgi. Here is a photo of Samaruna taken in about 1935 and it is not a portrait of a joker. Contrastingly, a photo that hung in Qiligniq’s kitchen shows old Quwana, ca. 1940, sitting on the grass, an open letter lying across his boots. The old man smiles radiantly into the camera, as though greeting the person before him and responding to the attention of the lens: the happiness of the event and perhaps surprise and gratification to be in possession of a letter. Samaruna, on the other hand, does not give the impression that he would want to be photographed informally. And while the two men had a historical connection — both risked their young lives confronting Atangauraq — they represented contrasting extremes of Tikigaq character: the nimble-witted Quwana as opposed to the implacable Samaruna who had posted himself with a rifle outside his iglu and dared Atangauraq to demand tribute. Whereas Quwana radiates a smile which consumes his entire person, Samaruna is taken standing in front of his iglu in a pose that suggests the integration of physical and psychological power of a man who even in this micro-second is still at work.7 The two seventy year olds are equally impressive. MY VISITS TO Asatchaq in Fairbanks were predicated on my assumption that the old man not only came from the village but was Tikigaq and that physically he was a piece of the village, broken off, transferred to Fairbanks but still there in the Arctic. This belief grew on me as I got to know him better. 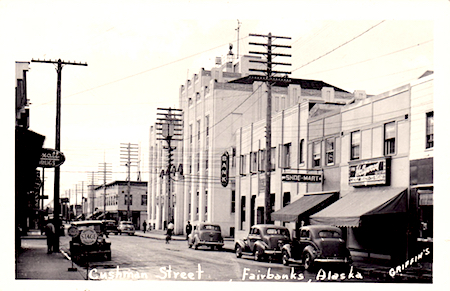 We talked about nothing except village history and his hand gestures suggested that he had imaginatively oriented himself and was sitting not in a Fairbanks nursing home but somewhere on the home peninsula. I was able to follow these gestures better when we were sitting in his Tikigaq cabin. But even here as when, for example, he raised an elbow and angled it to indicate the site of qagmaqtuuq qalgi, he expected me to position the reference. Following word and gesture, as together they were intended to conduct me to where he assumed I knew he was, I was mesmerized by the precision of his experience and both hypnotised into collusion and left geographically bewildered. If my project was far-fetched and jutted absurdly from the trajectory of a previous life which had existed mainly in London and Chicago classrooms, the presence of Virgil in the experience of being here was perhaps the most extreme absurdity. My first visit to Tikigaq had been in summer 1973. I arrived, I learned later, on the day that Nanny Uyatauna and Rose-Marie abandoned their iglu and moved into the trader’s cabin where I met them three years later. And once I summoned up the courage, I crawled into their old earth house and sat, in an attempt to imagine the two women’s lives here, among the reeking whale bones which after a couple of weeks became green with moss and lichen. The bones leaned inward and jostled one another like a mouth full of decaying old teeth, enclosing the basins and kettles that Uyatauna had abandoned. The same sort of domestic leavings that they stored in the Fairbanks museum after the 1959 excavations at Cape Thompson. For excavation detail see below, note 4. A PERSON IN relation to his place: this is the great issue. It’s a matter of fact kind of belonging that Asatchaq implicitly expresses. This is articulated not in the manner of the western consciousness with scope to openly proclaim dissociation, but rather as a quietly accepted given, as though an Inupiaq is himself a portion of the missed place, and while stranded in unknowable country, continues to represent its reality without having to remark on it. In a stanza like this, the speaker is a person who both glances at previous harmony with home and expresses a new individuality which is a by-product of exile, while previous identity is acknowledged painfully from the vantage of dislocation onto which the foreignness of the new environment has encroached. Note: Minor alterations made subsequent to first publication — Ed. My song’s like my luck. Surely you’re not happy to go swimming at twilight? Everything has gone. The earth is cold. And in your face the night bird, in disquiet, is whirring. 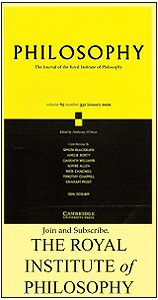 One of the verbs which cropped up was alianniuq– ‘to be lonely’; and aliasuk– ‘to feel lonely, depressed, sad’ and alianaq– ‘to be boring, not enjoyable, bored’ (MacLean 1980:25). The last of these was sometimes applied to white people because they had difficulty with casual socializing. I was flattered by having this verb in the negative applied to me because I was cheerful and made jokes. Samaruna, died in ca. 1935, was regarded communally as leading Tikigaq sage. 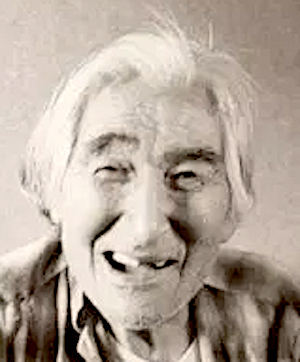 Rainey’s ethnographic interviews of 1940 include long statements by Samaruna’s sister Niguvana as well as six other elders born in the 1870s. I saw Quwana’s smile reproduced in 1976 by his son Uqpik who, entering a room one afternoon, approached a newborn baby, thrust his face close to the baby’s and radiated a smile of solar brilliance. Publication: Tuesday, 15 May 2018, at 21:09.